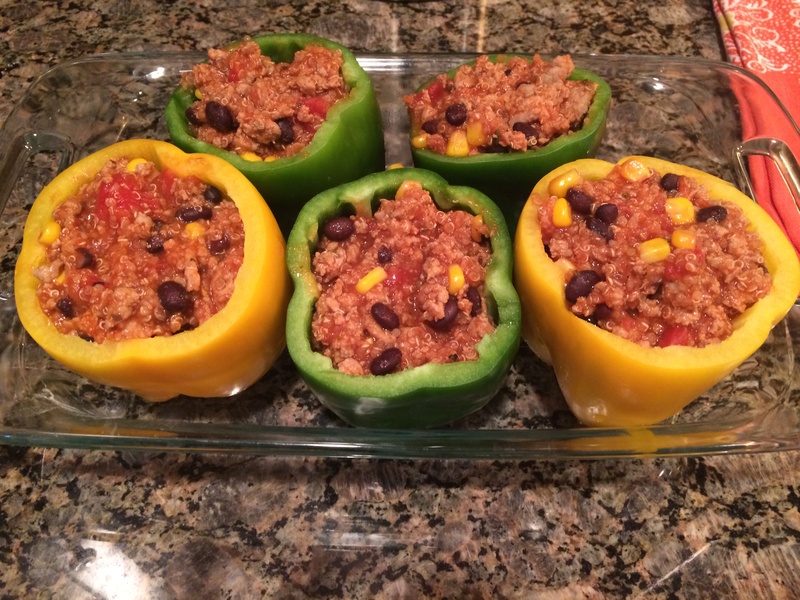 I cannot remember the last time I made stuffed peppers….probably because our grill has been in full force since about April…however I got a craving for them and since they fit perfectly into my PIYO meal plan I figured I’d toss it in as part of WEEK 7. Freeze any remaining stuffing or save for leftovers later in the week! 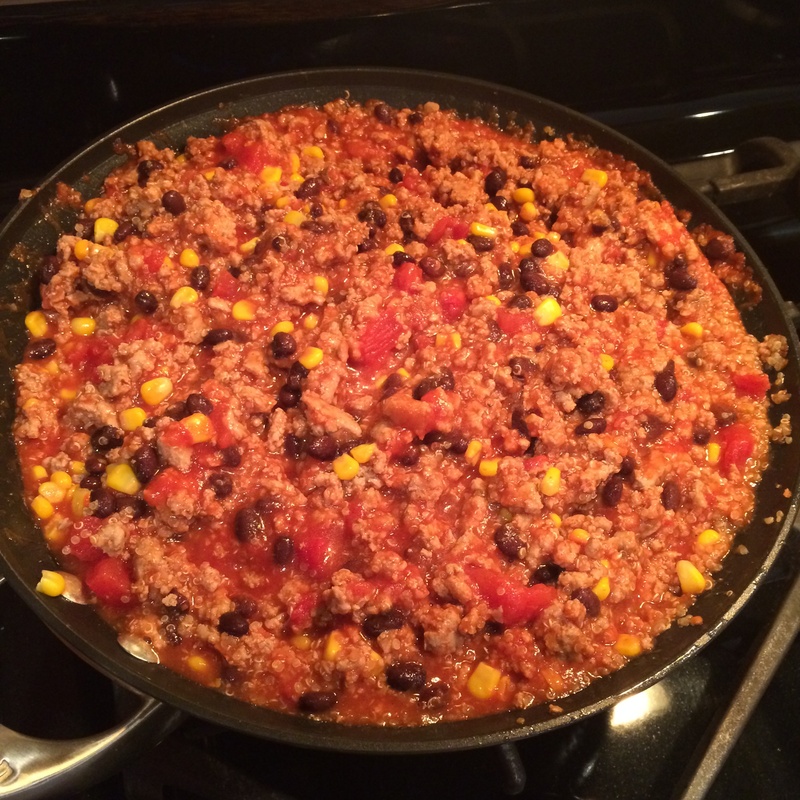 These will also reheat well – we ended up with two dinners and I had one lunch out of this batch! 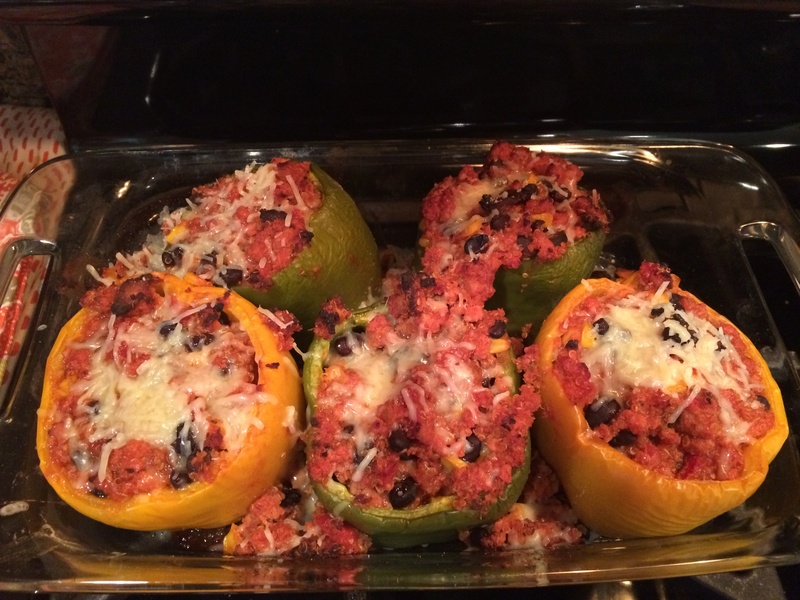 Note: My next batch was added into some slightly spicy banana peppers – and they were AMAZING! If you like a little kick try these for sure! What are the colors for 21 day fix per pepper? I made these while doing the PIYO meal plan which doesn’t exactly line up to the 21 day fix container but big picture you want to consider what you’re eating. The diced tomatoes and pepper would give you ONE green. 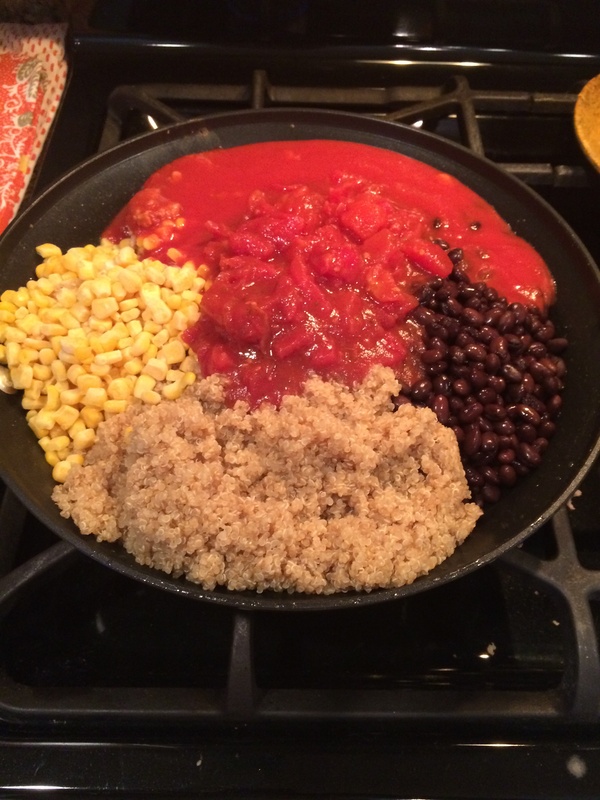 The filling would be one yellow (black beans, corn and quinoa) and one red (turkey). 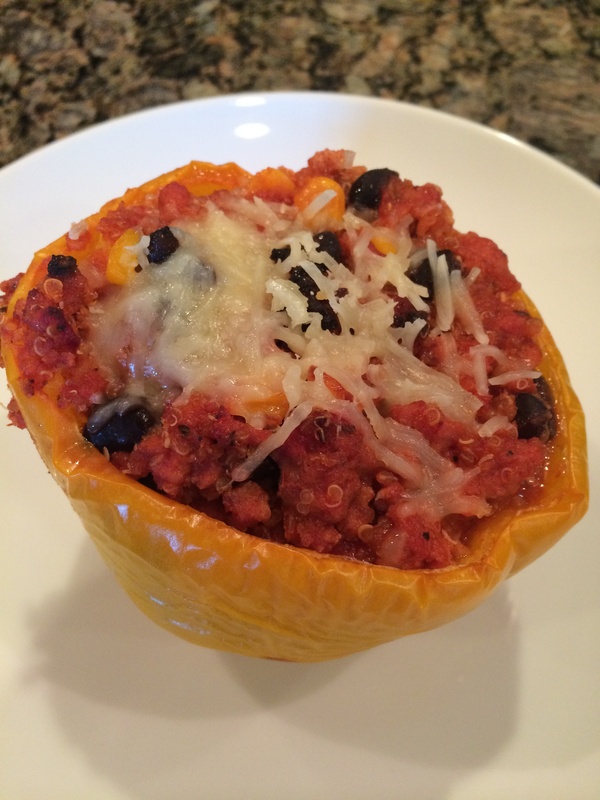 The cheese used would contribute towards a blue – depending on how much you use on each pepper!